One of the biggest news stories this summer involved a Jeep Cherokee that was attacked by hackers. Using the vehicle’s 3G data connectivity, they managed to remotely track it via GPS, control the steering, disable the brakes, and even shut off the engine. Although there were a series of recalls and software patches issued in response, serious concerns have been raised about the security of our vehicles. So is your car safe from cyber criminals? Computerized cars are one of the biggest trends to hit the auto industry lately. Major manufacturers are working on ways to make their vehicles more like smartphones, adding the ability to make calls and access the internet and offering advanced entertainment systems. Most experts agree that this incident will not be the last time a car is remotely hacked—in fact, it might only mark the beginning. Although there are efforts underway to improve security for vehicles, there are a number of obstacles to this approach. Many car designers do not build security into their systems from the start, and these systems are typically protected as proprietary technology. This means that it can be very difficult for outside experts to find patches and workarounds. Most vehicle owners do not realize how connected their vehicle already is. One hacker has created a device that can read the wireless commands sent by a key fob. These codes are then stored so that the attacker can access the vehicle a few days later. Another major security hole was found in the OnStar iPhone app, which would have allowed attackers to track vehicles and unlock their doors. So how do you keep your car safe from cyber attacks? It’s extremely easy if you drive an older vehicle; most cars built before 2000 have few electronic systems, and many built before 1990 have none. However, driving an old car isn’t always the most practical solution. If you have a newer car with a computer in it, be sure to contact your auto maker to get the most recent security updates for your vehicle. There are also some services that you can choose to disable, such as OnStar or Bluetooth; at the very least you can configure them to not automatically search for signals. You can also look for a vehicle that relies on your mobile phone to run the entertainment system, since cell phones generally have more advanced security systems. Finally, be sure that you find insurance to help protect you from malicious criminals. So what’s the final verdict? 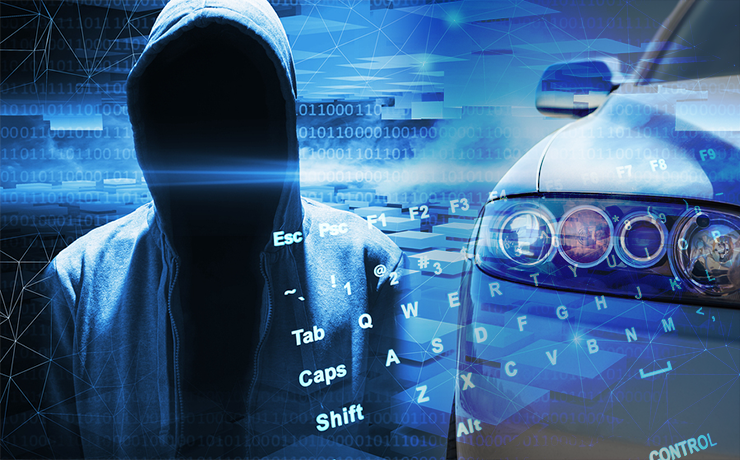 Although car hackers are a potential threat, they are not yet a significant danger. And even if they do become a problem, there will be ways to protect yourself.